With the introduction and adoption of the Google+ platform in 2011, Google has taken a bold step into the social space previously dominated by Facebook and Twitter. With the introduction of the Google+ platform, Google has re-defined the social landscape, its influence on search engines, and SEO in general. One of the most exciting parts of the Google+ integration is the “Search, plus your World” feature. In its most basic terms, Google users that are signed into their Google+ account will be served a personalized set of results, both based on regular Google results as well as results that personalized to users based on their Google+ circles, interests and “+1’s”. “+1s” are one of the ways Google is working to bring more personalized search results to Google+ users’ search results. When a user finds a search result on Google they like, agree with, or would like to recommend, they have the option of clicking the “+1” button next to the search result and adding it to their “+1s”. Not only does this serve as a great way for individuals to save important web pages for later, but it provides a powerful feature for future searches for both yourself and those in your circles. Besides the addition of the “+1” icon next to search results you have marked, users will also see “+1s” of their friends integrated into search results. To toggle between personalized G+ search results and normal/non-Google+ logged in results, users can simply toggle between personalized and global results, as illustrated below. It’s important to note, however, that the default search for Google+ logged in users will be the personalized view as described in this post. Besides noting the differences this makes in natural search results, it’s also important to note the other changes to search results that are visible to users while logged into Google+. Google+ users will also see photo search results sourced from their own and their friends’ Google+ accounts. In addition to this, they will also notice Google+ suggestions for friends, brands or businesses that are relevant to their search. Users that are logged into Google+ will even see their friends from circles appear right in the Google search bar when searching for them. Google+ users will also notice that their past search history is a factor in their search results while logged in. Users will notice search predictions/auto-complete that is based on search history and will also be served personalized search results that too are affected by past trends. Finally, Google+ users will also have certain key content from their Google+ circles included right into their natural search results. This is especially important to note as Facebook and Twitter posts/content (besides their user/brand pages) are not included in any Google search results. Because of this, it should be safe to assume a strong Google+ presence will carry considerable importance in the rapidly evolving world of social media, especially in regards to its integration in Google search results. So, what does this all mean to the everyday Google+ user? It means further refined and even more personalized results. For businesses, it’s now not only important for Google to index your site properly, but the website’s content now needs to truly connect with visitors to where they will “+1” a page, therefore increasing the likelihood of people in their circles also visiting that same site. While Google+ may seem like “just another social site” to keep up with, it’s evident that Google isn’t letting up on further integrating it into search results. In fact, it’s only picking up steam moving into the final months of 2012 and into 2013. And while it’s always important to note the changes in Google’s algorithm, it’s also important to note the changes in how/what users will actually see based on whether they are logged into Google+ or not. 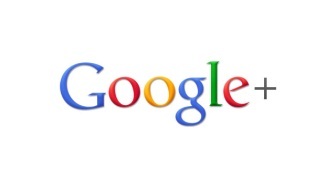 Check back soon for “Part 2” on how businesses can elevate their presence on Google with Google+! Previous Previous post: Another Day, Another 3 Google Updates!